Broadcom chips have already infiltrated Internet of Things devices from companies like Quirky and Electric Imp. Now it’s looking to the next generation of developers hoping to cash in on the connected home with it’s new Wiced device. The Wiced Sense development kit (pronounces “wicked”) is an open source hardware and software solution meant to help developers reduce quick prototyping of an an idea from two months to a few days. 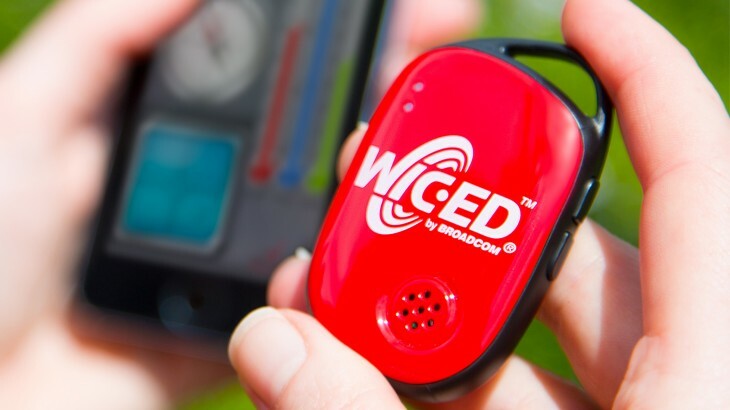 The Wiced Sense hardware uses Bluetooth to connect to the Wiced Sense companion app for iOS and users five low-power MEMS sensors to measure direction, speed, temperature, humidity and atmospheric pressure. The devices even support iBeacon. The entire system is open source including the hardware schematics. Of course, once a developer comes up with a piece of connected home hardware that they want to go to market with, they’ll be more apt to use Broadcom chips inside their hardware since they’ve already created the device around the Wiced system. The Wiced Sense development kit is available for $19.99. A low-price entry into building Internet of Things devices or just measuring things around the house in your desire to control and analyze your entire home with your smartphone.